For most of the posts we created so far for this website, all of them showcased nails of the fingers. Hundreds of beautiful finger nails were already featured in this website and had already inspired thousands of readers. I guess it is about time to introduce a collection that is for toe nails and today is the day. Cute toe nails are literal in its description since most toe nails are relatively cuter compared to finger nails. 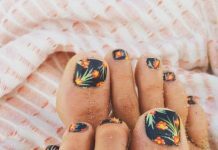 Although most of the time toe nails are hidden under shoes or sandals, there are still instances that they are exposed to public view and these are the rare moments that toe nail art are seizing for. 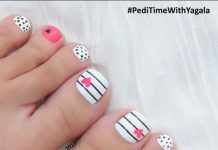 Check out 30 of the cutest toe nail art designs one could find in the internet. Again, do not underestimate the power of toe nail art because you may never know, you might be going on a beach on a whim and you’re force to wear flip-flops the entire time. It’s better to be prepared, right?